Depression is possibly one of the most common mental illnesses in the United States. In 2014, the U.S. National Institute of Mental Health (NIMH) estimated that 6.7 percent of all adults had a depressive episode in the past year. 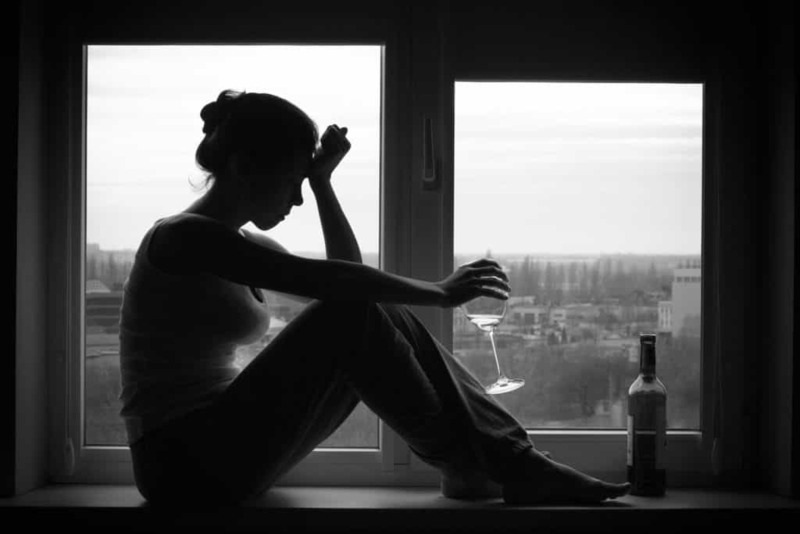 Depression can affect anyone, but people with substance abuse issues may be more vulnerable to depression. Depression is more than occasionally feeling sad. While everyone feels blue from time to time, these feelings usually pass within a day or two. Depression is a persistent emotional and sometimes even psychical pain, which often disrupts a person’s ability to function. This can last anywhere from a few weeks to a few years, depending on the type of depression one is struggling with. There is more than one type of depression. NIMH categorizes depression into several forms to better help diagnose and treat people working through these issues. It is important to consult with medical professionals if you believe you are suffering from one of these conditions. They are in a position to provide help and advice. These forms vary mostly in how long they last and what, if anything, they are triggered by. Is Behavioral Activation Effective in Treating Depression? Levels of Depression: When Is Professional Treatment Needed? Major depression is marked by severe symptoms that interfere with a person’s ability to function. These symptoms last anywhere from a few weeks to a few months, but generally last no longer than a year. Major depression can be, but is not necessarily, caused by a specific life event. This might include a death in the family or the loss of an important job. It is also thought that brain physiology and function can play a role in major depression. It is possible to have only one instance of major depression, but it is more common to have a few instances throughout one’s life. Persistent depressive disorder was once commonly referred to as dysthymia. Brain function and emotional processing are thought to play a role in persistent depressive disorder. Individuals will usually have less severe symptoms than someone working through major depression; however, these symptoms are recurring and can last for years. The reduced intensity of symptoms can sometimes be confusing; those comparing their symptoms major depression may not realize they have a condition that can be helped through treatment. Bipolar disorder is less common and looks slightly different from other types of depression. While bipolar disorder is a separate disorder from depression, it features elements of depression in its presentation. Bipolar disorder is estimated to affect 3.9 percent of adults in the US throughout their lives. Individuals working through bipolar disorder experience a vacillation from episodes of extreme energy and elation, called mania, to periods of intense depression and low energy. Seasonal affective disorder, also known as seasonal depression or SAD,occurs during the winter months when there is less natural sunlight. People who experience this condition typically find their symptoms lessen or disappear as winter turns to spring and summer. Heliotherapy or light therapy is a popular treatment for SAD. These special lamps use high-power broad-spectrum bulbs to mimic the effects of natural sunlight. It is important to consult with a medical professional when using these lamps, because overexposure to the light can be harmful. Medication has also been found to be effective in treating SAD, and it is sometimes used in conjunction with light therapy. Postpartum depression affects some women after giving birth. It is not uncommon for woman to have some mood swings after giving birth. This is commonly known as the baby blues. While it effects 80 percent of new mothers, these feeling generally do not get in the way of the mother caring for her child and herself. Postpartum depression is much more severe. It has no one cause, but can result from the physical changes associated with having a baby combined with increased responsibility, not to mention the lack of sleep. A woman who believes she might be suffering from postpartum depression should speak to her doctor right away. Medication and talk therapy have both proven effective in treating postpartum depression. Psychotic depressionis a very serious condition in which a person has a major depressive episode while at the same time having a physiological break from reality (psychosis). This break from reality can manifest in hallucinations or delusions (false beliefs), such as a belief that one is being conspired against or persecuted. A person in the midst of a psychotic episode is not often likely to seek treatment; however, combinations of antipsychotics and new SSRIs have proven effective in treating the condition. As always, these medications should be used alongside therapy. The co-occurrence of depression and substance abuse is common. 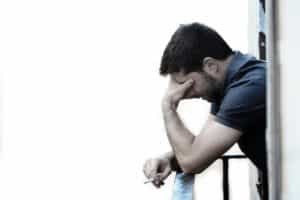 The National Institute on Drug Abuse reports that people with substance abuse issues were about twice as likely to suffer from a mood disorder, of which depression is one. A 2008 study found that almost a third of people with major depressive disorder also struggled with a substance abuse problem. This also increased their risk of developing other issues and increased their risk of suicide. There are a lot of reasons that that a person might struggle with depression and substance abuse at the same time. Escaping reality is one of the most common reasons that people begin abusing substances like alcohol, illegal drugs, and prescription medications. If people are feeling depressed, they might turn to drugs in an effort to escape. Conversely, it is possible for a person to develop depression during habitual substance abuse. There are many stressors and hardships that come with maintaining a substance use habit. People can also experience guilt over their continued substance use or failed attempts to quit. Both of these factors can play a role in the development of depression. It can sometimes be helpful in treatment to discover which started first, the depression or substance abuse issue. This can give a person valuable insight, and even if one didn’t predate the other, it can provide knowledge into how one affects the other. It is likely that they both affect each other in more than one way. According to NIDA, cannabis and alcohol are the most commonly abused substances. Data on cigarettes is more general and imprecise, but cigarettes are sometimes used by people with mental illness to regulate dopamine levels, especially among individuals without access to normal medication. In report issued by NIDA, it was estimated that 40 percent of all cigarettes smoked in America are smoked by people with mental health issues. Depression can manifest many different symptoms. It is important to remember that each person is different, so each person’s depression will look different. It can also be helpful to think about the symptoms in relation to the various forms of depression. The intensity and frequency of the symptoms may give insight into which form of depression is present. Again it is important to consult a doctor if you believe you are struggling with depression. A doctor will be able to give a definitive diagnosis and provide treatment referrals. At times, it can be difficult to tell which condition is responsible for which symptoms. For example, a person’s energy levels can be affected by both mood and the substances used. Chronic pain and headaches are symptoms of both severe depression and heroin withdrawal. Medical professionals with experience in both substance abuse recovery and mental health treatment are needed to assess specific symptoms and determine the most appropriate treatment. There are many treatment options suited to both depression and substance use. Medication can help with chemical imbalances, while talk therapy can deal with the underlying emotional and behavioral components of these mental health disorders. Ideally, both should be used for maximum support. Selective serotonin reuptake Inhibitors or SSRIs, are quite safe and effective at treating depression. They are work by keeping the neurotransmitter serotonin active in the clefts between the brain’s neurons. They also cause relatively few side effects. Serotonin-norepinephrine reuptake inhibitors work similarly to SSRIs but also work on norepinephrine reuptake receptors. They are sometimes prescribed alongside other medication in order to increase efficacy. Norepinephrine-dopamine reuptake inhibitors also work very similarly to SSRIs, but affect the neurotransmitter dopamine instead. Dopamine is involved in several brain circuits associated with reward and satiation. This medication has shown promise in helping people to quit smoking. It may help lessen cravings during attempts to quit. Tricyclic antidepressants are older forms of antidepressant discovered in the 1950s. Tricyclics work similarly to SSRIs, but they work on serotonin and neuroepinephrine receptors, keeping more of these neurotransmitters available in the brain. While tricyclics have largely replaced by SSRIs, they can be useful to individuals who are not responding to other medications. In addition to medication, there are many different types of therapy available to people struggling with depression and substance use. The two showcased here show promise in tackling both depression and substance abuse. Dialectical Behavior Therapy(DBT) is a relatively new technique that balances two dialectic goals of change and acceptance. The positive change desired is to abstain from substance use. The technique also acknowledges that relapse is a very distinct possibility, and that shame and guilt are not conducive to recommitting to abstinence. The goal after relapse becomes learning from the relapse and setting oneself up to try again with additional support. There are many additional types of therapy that may be beneficial in treating both substance abuse and depression. It’s important to find a treatment program that is equipped to handle both issues, so facilities that specialize in treating co-occurring disorders are optimal.